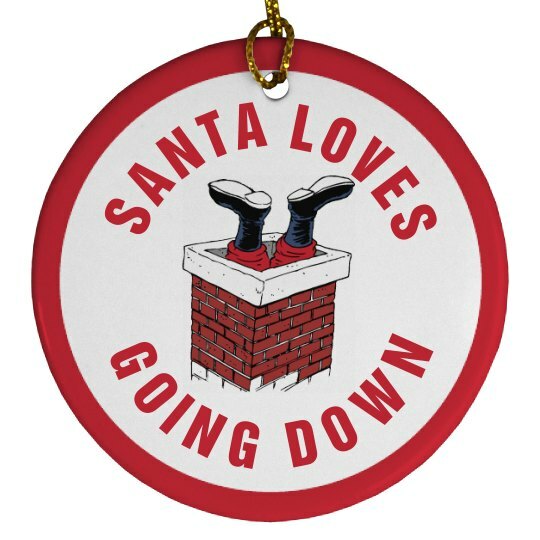 Santa loves going down! CHIMNEYS! He loves going down the chimney.. to bring little kids their Christmas presents. Get this funny ornament to hang from your tree this year.